You will not want to miss this! 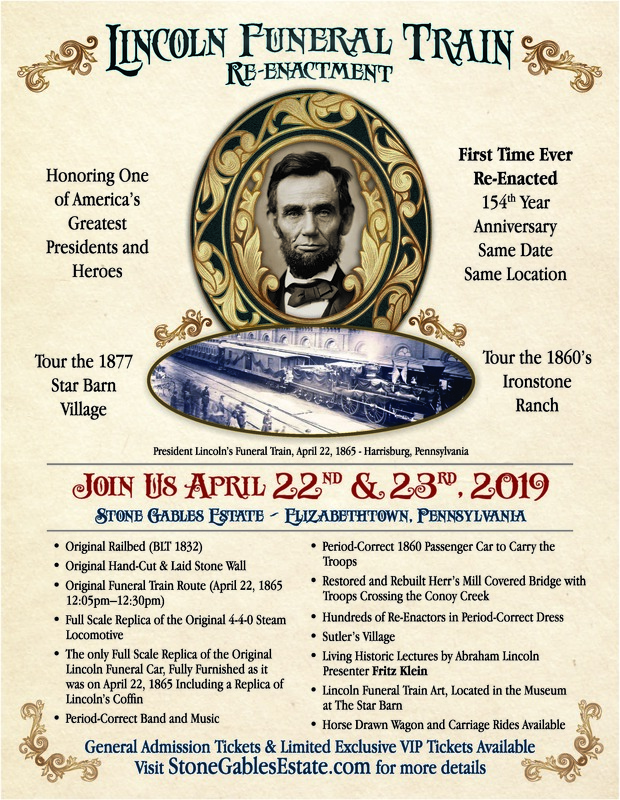 Stone Gables Estate in Elizabethtown is hosting a Lincoln Funeral Train Re-Enactment, April 22-23. This is the First Re-Enactment of the 154th year anniversary, Honoring One of America's Greatest Presidents and Heroes. This is sure to be a very exciting and interesting event! Learn about the history and see the only Full-Scale Replica of the Original Lincoln Funeral Car, Fully Furnished as it was on April 22, 1865. Click here for details & tickets.